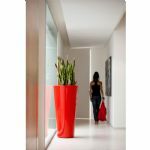 A beautiful selection of tall planters and oversize plant pots. 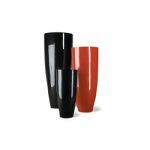 For those of you who want to create a statement we have a huge range of large and tall plant pots made from fibreglass, polyethylene resin, and steel. All our pots are all frost proof and the UV resistant colours and will not fade. 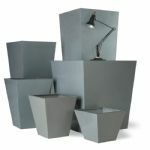 The galvanised steel planters can be custom made to any size and custom powder coated to any colour of your choice. Just contact us with your requirements and we will be happy to give you a quote.